We need you! You are key to ending violence against women and children! Every time we help a woman or her kids we have to fundraise that money. Yes the walls are paid for but the women and children’s programs and supports are not. They are funded through individual donations and through events like this. Your dollars provide transportation, court support, counselling, child empowerment, trauma recovery and joyful events. Your support provides recovery and resilience. Sometimes, women must leave with few, if any, possessions. Here is a list of items that women need to begin again, to turn their lives around. We accept items that are "gently used". Due to health and safety regulations, toiletries and food items must be new and unopened. If donating gently worn clothing, please donate only those items that you would still be proud to wear yourself. Items that are ripped, stained or otherwise in unwearable condition should not be donated to Ingamo Homes. There may be times when furniture is needed. If you are downsizing and can deliver, call us! At Ingamo Homes, we believe that volunteers are a vital part of the services offered to abused women and their children. Our volunteers allow the existing services to run and allow our program to deliver intensive support to those in need. Volunteering allows the community to be more involved and informed about violence against women. All of our volunteers are educated through orientation and training and are given clear directions. All are recognized for their hard work, and appreciated more than words can say. Volunteers are expected to honor their commitment, to use and maintain complete confidentiality, and contribute to the existing environment of fairness, respect and teamwork. All women and children's programs at Ingamo are largely funded through private donations and fundraising events. 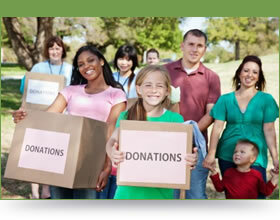 Charitable Tax receipts will automatically be issued for donations and mailed out immediately. 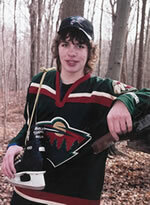 This fund gives kids a chance to take part in community activities. Whether it is singing lessons, participation in camps, or registration for sports, Michael's fund lets kids believe in their dreams. Help out by hosting a Third Party Fundraiser! 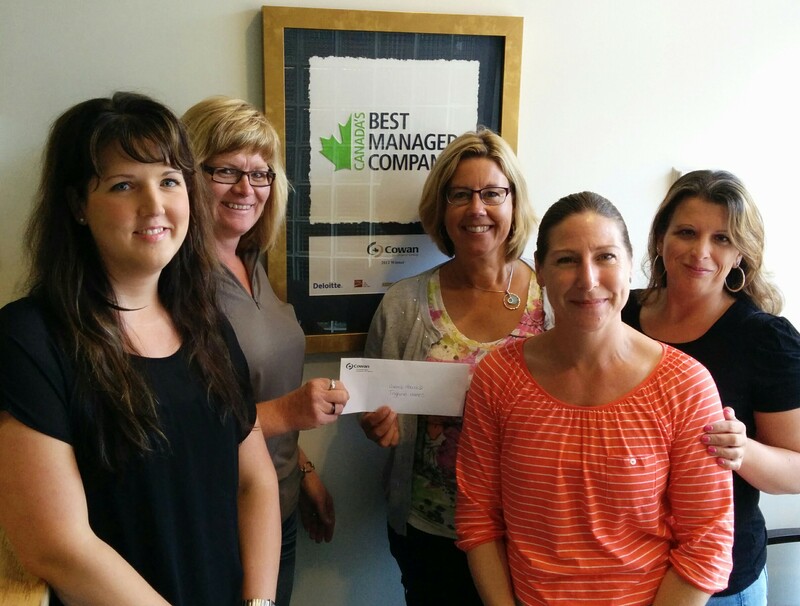 Cowan Insurance Group held a fundraiser during Streetfest, 2014 and donated it to Ingamo! Pictured Above with Diane are Miranda Sim, Teresa Weeks, Lisa Thorne and Tracy Price. Thank for choosing Ingamo! Become a board member or an activity member! Help volunteer at fundraising events! Drop off gently used home items and clothing! Show your support through monthly donations! Support an event through sponsorship! Arrange a fundraiser for us! Sivaco-Ontario gives back to community! Sivaco employees contribute to Ingamo Christmas by purchasing gifts for kids and moms! Thank you for your continued support! Murray Lonsbary, Sivaco and Mary Anne look over the gifts.